For Saitek Pro Flight Instrument Panel. This is folder contains an engine panel, digital type, for De Haviland Beaver DHC2. The package includes a serie of colored needles that can be changed easily, just replace the default needle by the one of your choice. Default needles are yellow except for RPM which colour doesn't need to be changed and provide more visibility in small gauges. Beaver engine provides: Manifold pressure, Exhaust Gas Temperature, Fuel flow, Oil temperature, Oil pressure, Propeller RPM, Fuel quantity for the 3 tanks, Flaps position needle and trim for Pitch, Rudder and Aileron. For Saitek Pro Flight Instrument Panel. This is folder contains 2 panels for aircraft fitted with turboprop engine. The two panels are identical except for the number of needles, 1_turboprop_engine.xml is for aircraft with only one turboprop engine and shows a single needle for each engine parameter. 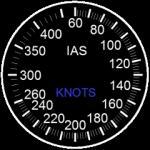 2_turboprop_engine.xml is for aircraft with two turboprop engines and shows therefore two needles for each engine parameter, one needle for left engine (default is blue colour) and one needle for the right engine (default is pink colour). The package includes a serie of colour needles that can be changed easily (read the pdf document). Both panel provide: Torque, ITT, Fuel flow, Fuel quantity for left and right tanks, Propeller RPM (NP), High pressure turbine rotation (NH), Oil temperature, Oil pressure, Flaps position with a needle and in degrees ,Pitch , Rudder and Aileron trims in degrees, Gears down green light, Gears in transit red light, Yellow reverse flag. For Saitek Pro Flight Instrument Panel. This is folder contains an engine panel, digital type, for Cessna 208 Caravan. The package includes a serie of colour needles that can be changed easily, just replace the default needles by the one of your choice. Default needles are yellow and provide more visibility in small gauges. The panel provides Torque, Propeller RPM, Interstage Turbine Temperature (ITT), Fuel flow, Fuel quantity for left and right tanks, Engine rotation Per Minutes, Oil temperature, Oil pressure, Flaps position needle and degrees, trims degrees for Pitch, Rudder and Aileron. For Saitek Pro Flight Instrument Panel. This is folder contains a digital like engine panel for Cessna 172. The package includes a serie of colored needles that can be changed easily, just replace the default needles by the one of your choice. Default needles are yellow and provide more visibility in small gauges. The panel provides Manifold pressure, Fuel quantity for left and right tanks, Exhaust Gas Temperature, Fuel flow, Suction, Alternator charge, Engine rotation Per Minutes, Oil temperature, Oil pressure, Flaps handle and bug, trim bug and numbers for pitch, rudder and aileron. For Saitek Pro Flight Instrument Panel. This is folder contains 2 analogical engine panels for Cessna 172. The two panels are identical except for the upper middle gauge, left side is EGT for Cessna_172_engine_1.xml file and it is manifold pressure instead for Cessna_172_engine_2.xml file. The package includes a serie of colored needles that can be change easily, just replace the default needles by the one of your choice. Default needles are yellow and provide more visibility in small gauges. The panel provides Fuel quantity for left and right tanks, Exhaust Gas Temperature or Manifold pressure, Fuel flow, Suction, Alternator charge, Rotation Per Minutes, Oil temperature and pressure, Flaps handle and bug, trim bug and numbers for pitch, rudder and aileron. DR-2 flight calculator gauge for MSFS2004 "Dreieckrechner" DR-2 is a powerful calculator to solve most common VFR navigation problems, i.e. solution of Wind Triangle problem, Time, Speed and Distance problem, fuel consumption calculation etc. For Saitek Pro Flight Instrument Panel. This folder contains two sets of two panels for Grumman Goose. All the gauges are in both sets but in different positions. First set is very close to real gauges position, however, after a good advice, thanks to Werner, I made the second set to have all essential information on the first panel and this is more convenient for simulation with FIPs. Both sets provides for left and right engines: Oil temperature. Oil pressure. Fuel pressure. Manifold pressure. Rotation Per Minutes. Caburetor air temperature. Cylender temperature. Suction. Exhaust Gas Tempereture. Fuel quantity. Fuel flow. Flaps position. Volts and ampere. Gears position. Floats position. 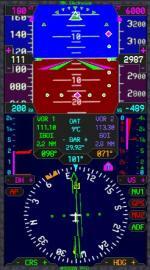 FS9 / FSX Fuel Data and Door Control Gauge. 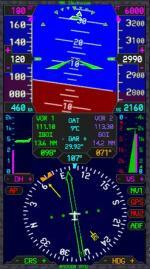 This xml-based gauge is a multi functional instrument which can be used in any engine powered aircraft you like: From a four-engine Boeing 747 to a small single engine helicopter. The gauge consists of two main functions: In mode 1, it displays many fuel parameters including range and remaining flying time, based on current fuel consumption. This mode also contains a timer function. What is unique about this gauge is that it displays the distance you've covered so far. This parameter is linked to the timer Start/Stop button and Reset Button. Both parameters are not affected by the time-zone boundaries. The average speed is also displayed and calculated by dividing the covered distance value by the timer value. A simulation rate indicator has also been added. When clicking on it, the simulation rate can be changed. All the parameters remain accurate, also when time acceleration is used. In mode 2, the four door types can be opened and closed. it also displays the status of each door. Many thanks for Mr. N. E. Pike for his great tutorials about making xml gauges! I also want to thank Don Kuhn for his help. By Hans Zuidervaart. A concept Primary Flight Display with unique integreted Radar Altimeter, Vertical Speed and Autopilot elements. Original bitmaps in XML with many elements vector drawn for faster framerates. Gauge cab file size only 125 kb. Published as Freeware and copyrighted. 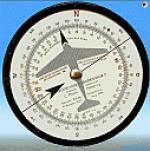 Replica of a 747 Airspeed gauge, mainly a new background and re-calibrated .xml. Read attached text file please.